About the Book: It has been over a thousand years since the last Realm War, when the forces of light banished the demonic shedom back to the Realm of Darkness. Now a new evil threatens the Middle Realm as a self-proclaimed wizard and a mysterious black knight lead an army of humanoid lizards against the kingdoms of man. As the Wizard consolidates his power throughout the eight kingdoms, Terrwyn and her companions find new allies in their fight against him. 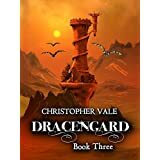 Our heroes finally reach Dracengard, but soon discover that the darkness that is engulfing the realm is even more sinister than they originally believed. 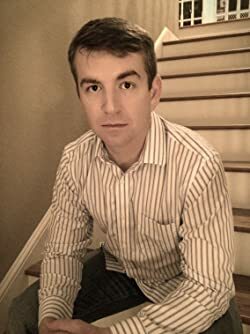 About the Author: Christopher Vale has lived in seven states and three countries. He has stared across a minefield in Guantanamo Bay, traversed steamy jungles in the South Pacific, and survived twin babies. Now he embarks on his newest adventure as he and his wife raise their three beautiful boys while developing their own self-publishing brand, creating fun, fast-paced novels of imagination and wonder. My Review: This is a great sequel to the series. If you thought that the story could not get better, you were mistaken. In this book the author continues to bring us lots of adventures, monsters, betrayals, plots and counter-plots, sacrifices, all the good ingredients to make this book an instant success. It is a very pleasant reading that will keep you entertained for hours. The plot is interesting: In the first book we saw a wizard trying to reunite some magic stones that would give him power beyond anything imaginable. And there was also a dark knight helping him with an army of monsters. In the second book we see the development of this war for power and the characters in the book will have to chose sides. Help for our heroes will come from unexpected places and new alliances are made. This third book brings intense moments as our heroes reach Dracengard. Some aspects of the story are explained with flashbacks that goes back 1000 years in history. Reunions with lost characters happen. Loyalty and friendship most of the times is the key to survival. This is the third book of a series, so I recommend that you read the first two books prior of reading this one. You will not regret it. And I can hardly wait to read the fourth book in this series! I recommend this book to the permanent library of all readers that enjoy a well written book, young adults or not. You will enjoy it the same. Kudos to the author for producing such an enjoyable series.